GEORGE TOWN: There’s pessimism that the Penang Government’s move to stop foreigners from buying properties priced less than RM2 million each will help resolve housing problems in the state. 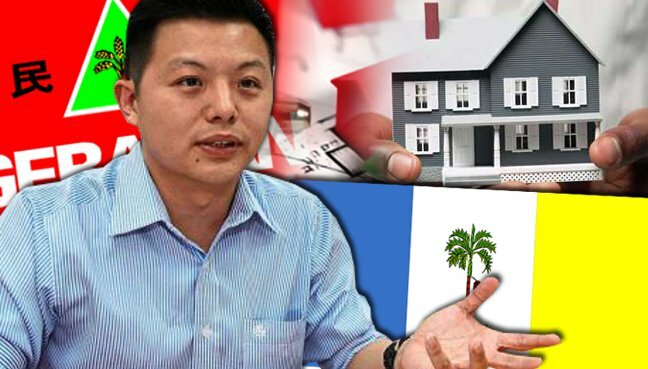 Gerakan Penang Youth legal and public complaints bureau chief, Jason Loo, thinks the move would not prevent foreigners from snapping up properties and houses in the state, thus depriving many Penangites from owning affordable properties. Loo advised the state government to implement a “real proper” guideline to curb property price speculation that had pushed up housing prices in Penang. He said this proved that most foreign property buyers were speculators. Loo said introducing guidelines to restrict foreigners from buying landed homes only looked good on paper but were not practical in reality. He said foreign investors come to Penang and purchase multi-million ringgit luxury properties. “Restricting them to buy properties of certain prices was not going to stop their purchases,” he said. He argued that foreigners could still afford to buy landed properties even if the state government increased the minimum threshold to RM3 million. He said the declining value of the ringgit may allow foreigners to snap up properties. For instance, he said previously, an American who had to fork out USD298,000 to buy a property in Penang would only need to take out less than USD270,000 to buy it. In 2012, the state government introduced guidelines to restrict foreigners from buying landed homes priced at less than RM2 million on the island and RM1 million on the mainland. However, since then, there had been a steady increase of foreigners buying properties in Penang from 2012 to 2014, thus showing that the state’s guidelines were ineffective. State Housing, Town and Country Planning Executive,Councilor Jagdeep Singh Deo told the state assembly session in May that Singaporeans and Indonesians were the biggest purchasers of properties in Penang. Since year 2008 until March this year, Singaporeans owned 1,290 properties, compared with only 460 from 2001 to 2007. Singaporeans are the biggest foreign owners of Penang properties at 1,750 units.